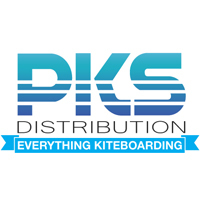 The PKS Self-Launch Sand Anchor is another true innovation in the world of kiteboarding and self reliance. 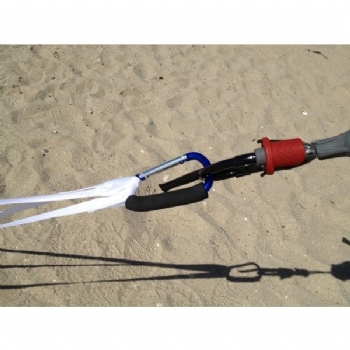 If you live in a place where you can't drive on the beach and there are no viable options to hook your self- launch to, this is the product for you. 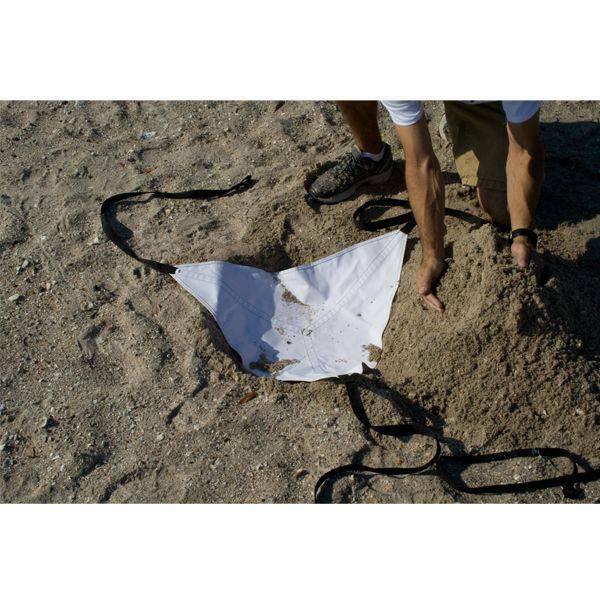 This Self-Launch Beach Anchor can be used to self-launch your kite with nothing around but sand or rocks. 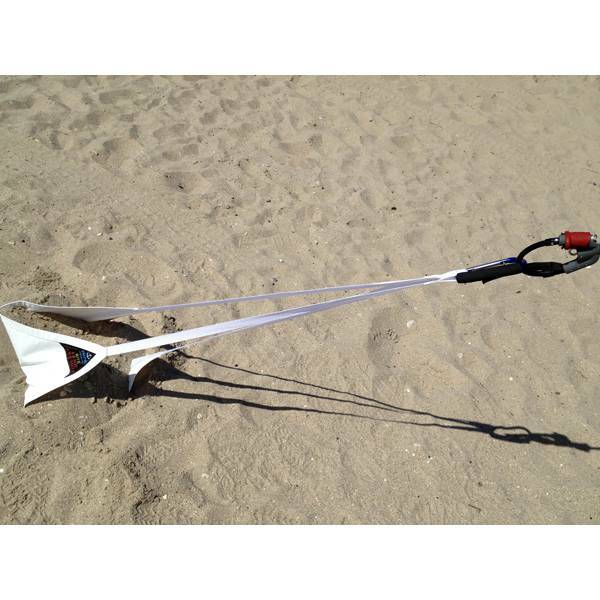 This is truly the best Sand Anchor you'll find, because you don't have to drill as with a stake and it folds up into nearly the size of your hand. 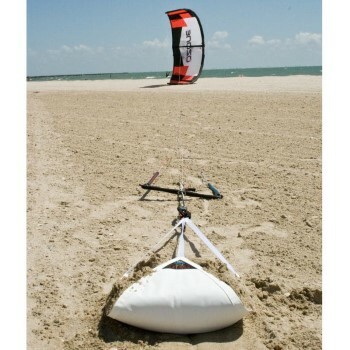 Also, you can store it with your kite because there are not sharp points or edges to cut your gear unlike a dog stake! 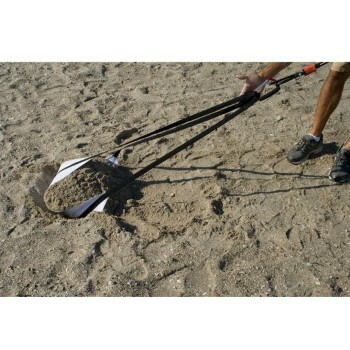 Don't puncture your very expensive and important gear with harder-to-use and more expensive equipment. The self launch anchor is then a very handy alternative to a sand screw. 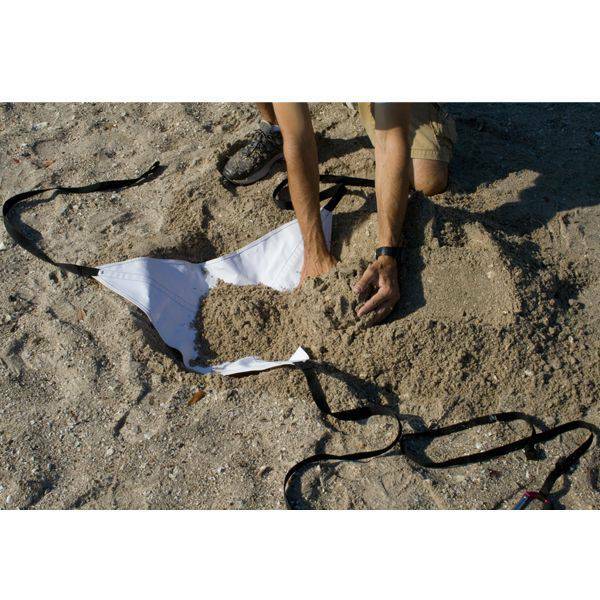 It works well if you make sure it is completely filled with sand. 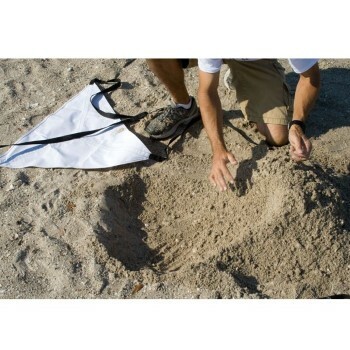 It is now permanently packed into my kite bag without having to drag around a large, heavy, sharp sand screw.